Jays! 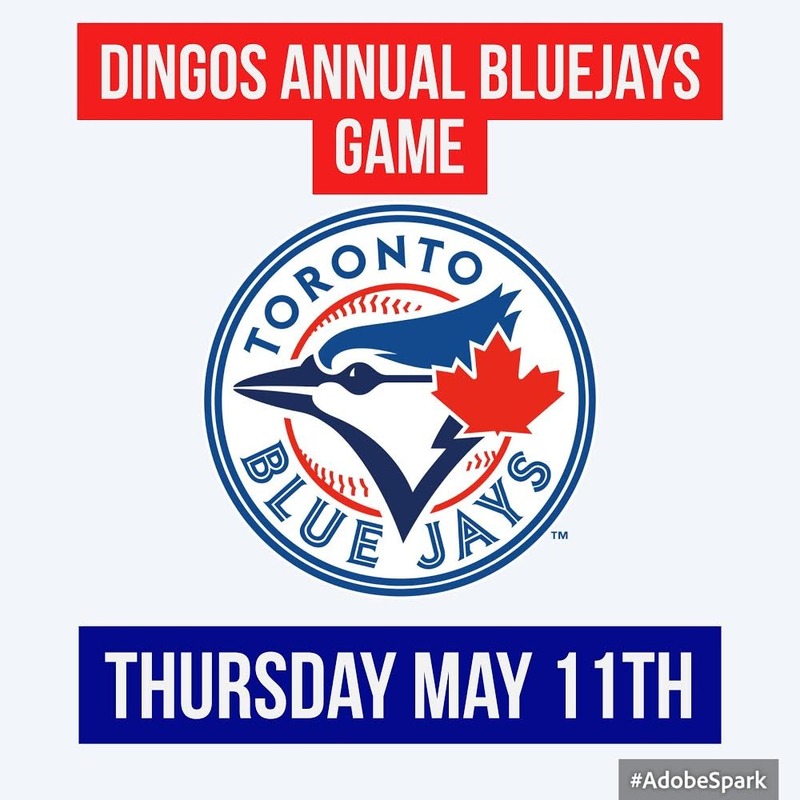 That's right, it's time to unwrap that new Darwin Barney jersey as the Dingos are off to see the Blue Jays! 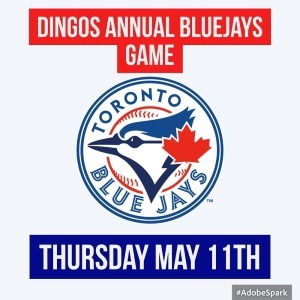 Following some great pre-season events which included a Marlies game, the St Paddy's Day Parade, and a pre-season training trip to London, the Dingos continue their annual tradition of catching a Jays game from the Flight Deck. This year, Coach K has given permission for the boys to miss a Thursday training, so we will be heading down on Thursday, May 11th, to see the Jays in action against the Seattle Mariners. 20+ of the lads are signed up, so should be a great night. The game starts at 7pm with pre-drinks at our sponsor pub, The Office Pub on John Street. Show up to the stadium early enough and you could get a 'Jose Jose Jose' tshirt! One 'Jose' for every time he strikes out! Too soon?